I built a jotform and have it on my website, donation page. I cannot get the submit button to work. I checked your form and I can see that the PayPal integration is not yet configured. 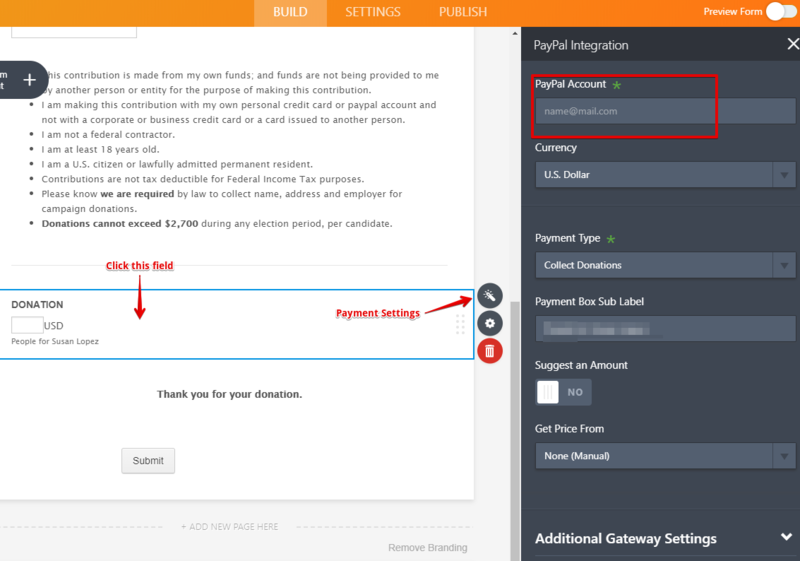 Please go back to the Form Builder and integrate your form with PayPal in order to collect donations. When I go back to JotForm it says I have 0 forms. Can you help me locate this form? 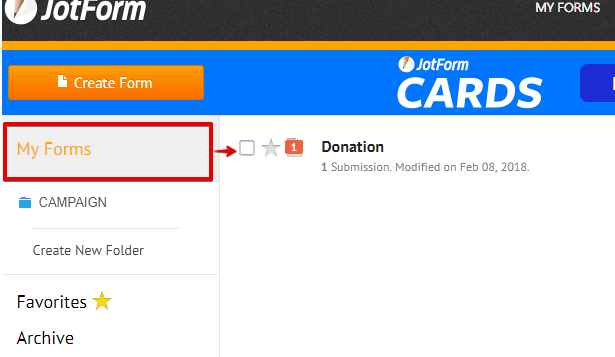 If the form is not showing, then please click the "My Forms" options. 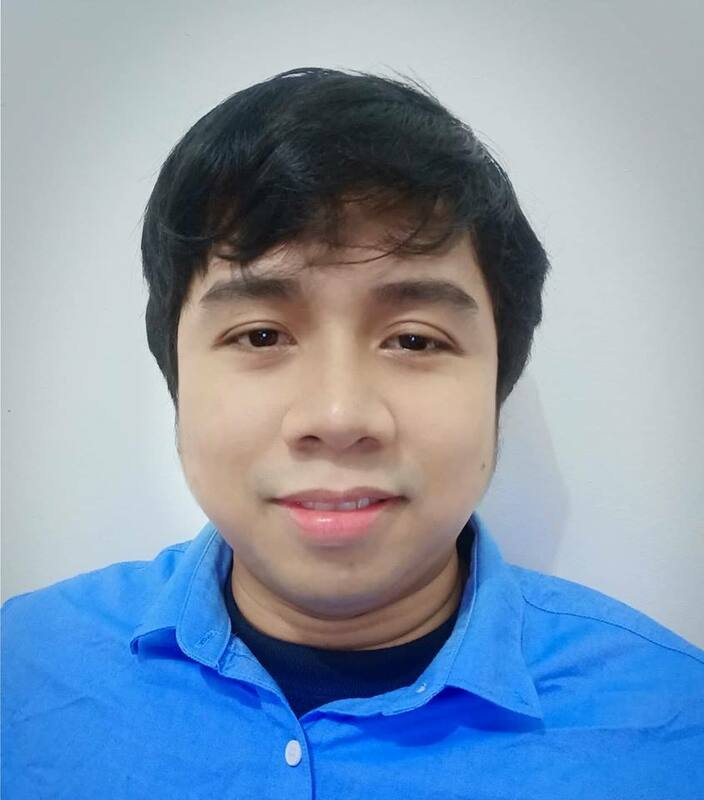 You may also click this link: https://www.jotform.com/myforms. If the issue persists, then please restart your browser and try it again. Please try to use another browser as well just to check if it will work or not.